This steel-framed villa has an extremely lightweight construction because of the poor state of the ground. The non-supporting aspect of its facades is expressed by a continuous glass strip along the ground floor which contains the living area and a doctor's practice. The bedrooms upstairs line an elongated corridor and share a balcony running the entire length of the house. There is a gymnastics room on the roof terrace. 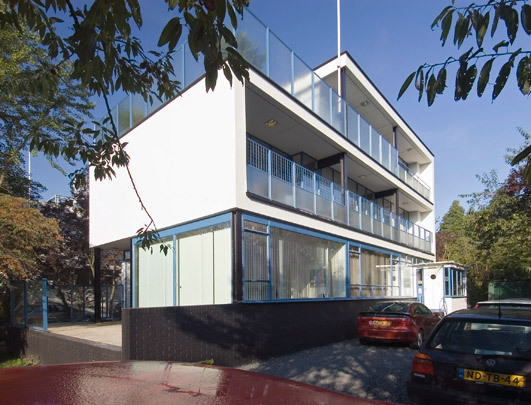 See also Private House Sonneveld.